Two essential language references integrated into one handy mass-market size paperback volume. 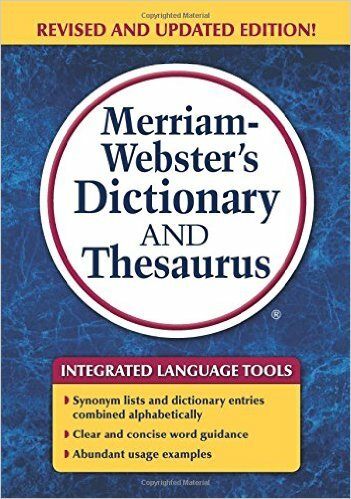 This national best seller offers 60,000 alphabetical dictionary entries and 13,500 thesaurus entries including extensive synonym lists and antonym lists. 500 new thesaurus entries have been added to cover new vocabulary. Clear and concise word guidance includes abundant example phrases.